As specialist installers of floor markings we can apply coloured paint and lines to a range of surfaces. 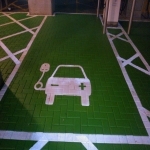 Our team have worked with numerous clients including local councils, schools and factory owners to install eye catching graphics and designs. 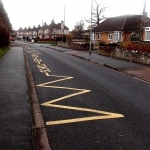 These markings can be painted or heat applied using thermoplastic, and are generally used for safety or for fun activities in children's playgrounds. 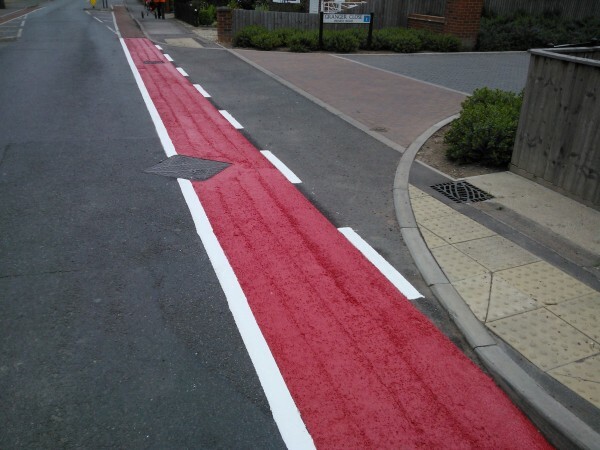 Surface markings will be applied using thermoplastic or paint for a range of uses both outdoors and indoors. 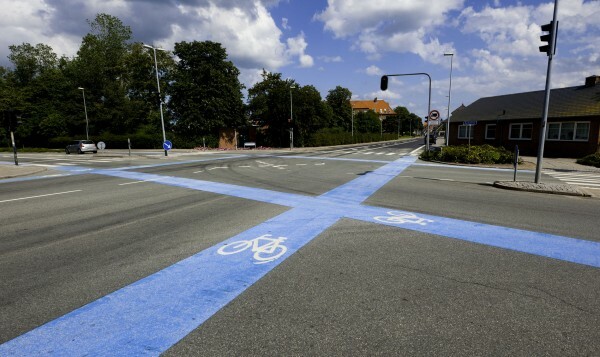 These are typically applied in various colour choices to accommodate diverse specifications including roads, car parks, kids' playgrounds and interior factories. 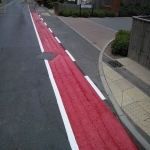 We have a choice of colour choices for these designs which offers a bright appearance, along with non slip safety characteristics. 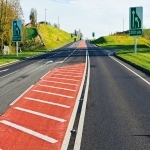 A number of products are used when applying the surface markings. Some of the most widely used products are paint and thermoplastic, and these both offer slip resistance and are available in a selection of colours. 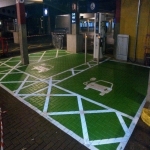 Many of our clients have these floor markings applied in car parks, more information on which is available here http://www.floor-markings.co.uk/car-parks/markings/ if this is what you need. 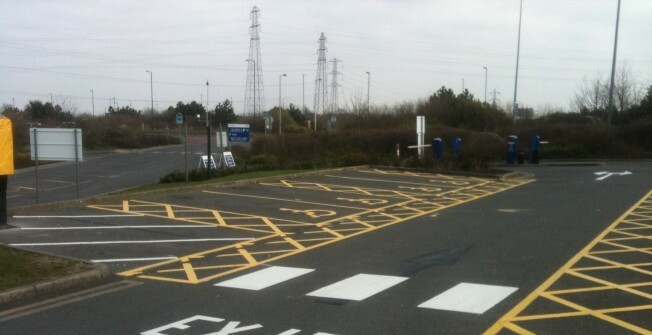 It's important to have clear floor lines in car parking areas to ensure safety for all drivers and pedestrians. All installations will vary so we will look at what you require and provide the ideal designs for the project. 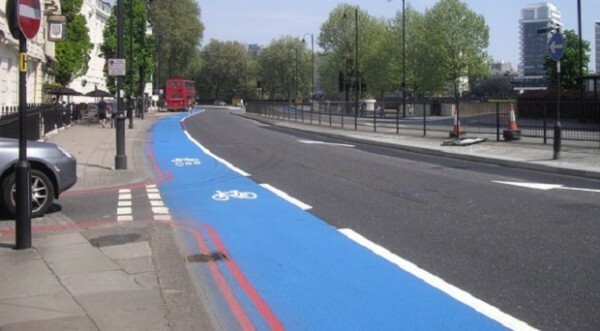 Specialist paints are frequently put down onto floors to help make them less slippery and to safeguard individuals from accidents. 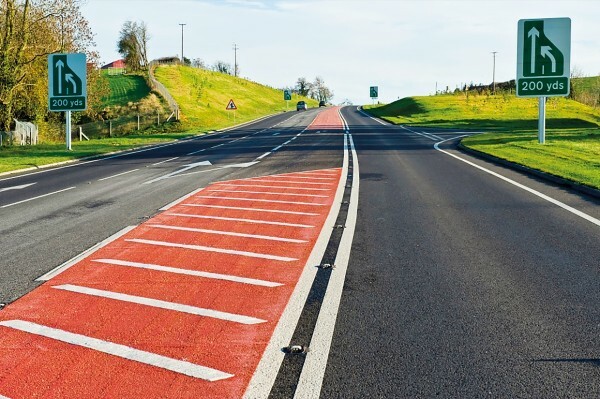 These types of coatings are installed indoors and outdoors to numerous sorts of surfacing for example concrete and tarmac. 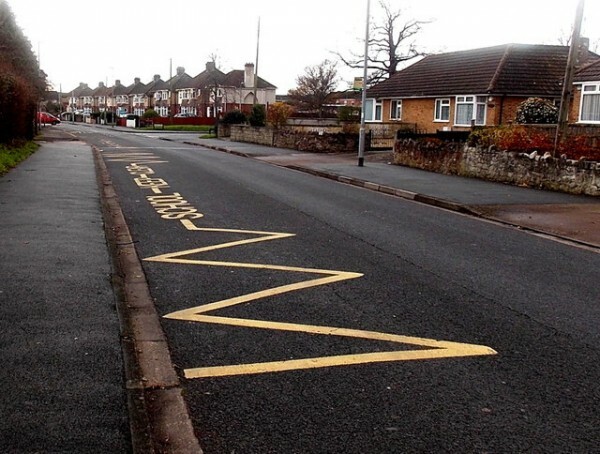 Various facilities like activity courts, manufacturing facilities and children’s playgrounds might have the non slip paint coatings installed for additional health and safety features. For those wishing to paint a activity court or playground, we supply many items that are great for these areas. We're positive you won’t see services of this high quality at many other places coupled with such excellent rates. 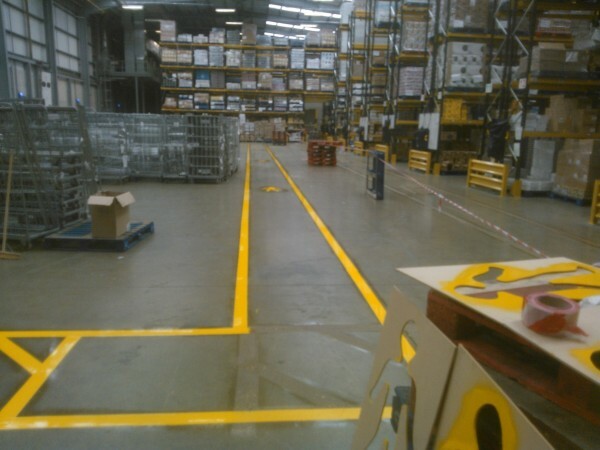 Non slip paint coatings and plastic markings are ideal for many indoor buildings such as big warehouses, aeroplane hangars and commercial factories. These graphics might be put down to offer guidance and to ensure people are safe by giving warning signs of possible hazards. Based upon exactly how the environment is going to be used, many different floor patterns including pointing arrows, path outlines, security alerts and wording can be installed. Check out this page to see all of the options for indoor surface marking applications - http://www.floor-markings.co.uk/indoor/floor/. Installing these highly visible floor markings is important for commercial environments since they are made to keep workers protected from injury. Designs which are generally used on the floor can incorporate navigational arrows, warning signs, lines not to cross and walkways. 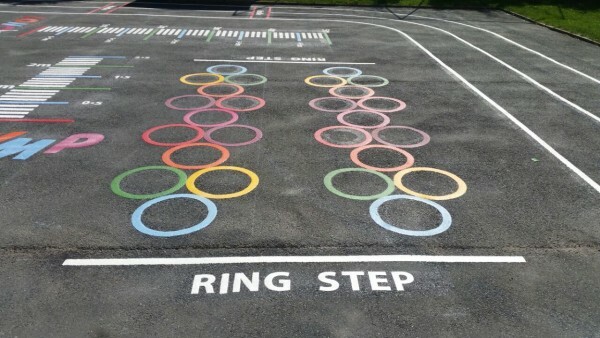 In play areas, high quality coatings and heated plastic could be used to generate educational games or to provide the lines for sports activities. These surfaces may be painted with a vibrant colour and we also offer pre-formed shapes in a lot of designs like words, maps, number grids and popular activities. 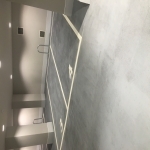 More details on the thermoplastics are available on this page http://www.floor-markings.co.uk/play-area/thermoplastics/ if you'd like to find out about the different shapes we offer. You will sometimes find play surfaces at nurseries which will have these floor patterns to really make the area more fun and exciting. As safety is of course the primary concern for children's facilities and surrounding areas, our paint and thermoplastic graphics all offer slip resistance to help prevent injuries when kids are running around outside. We offer the best services for applying paint and line marking to both indoor and outdoor areas. 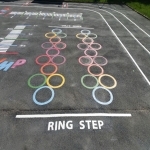 Our team have worked on numerous projects to add anti slip safety coatings as well as colourful and fun playground games designs. If you are looking for premium products at excellent value prices, please get in contact with our team today. 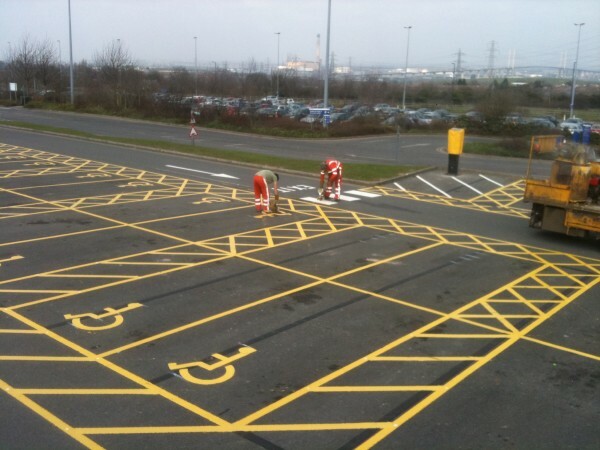 We may not offer the cheapest quotes but we certainly complete the highest quality work with long lasting results. 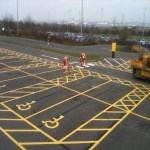 For further information on our work with floor markings please get in touch today through our enquiry form.